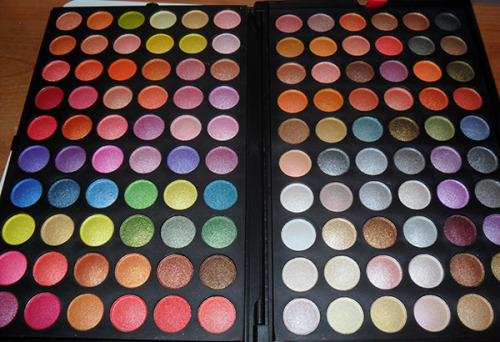 The Makeup Box: 120 Palette Edition 4 - All Shimmers! 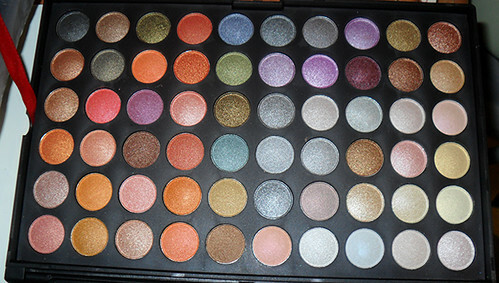 Meet the newest (that I know of) edition of the 120 palette. I can only say one word. Unlike the first three editions, this is ALL metallic and filled with lots of acidic, warm tropical colors (in fact I'm tempted to call it the Tropical Sunset Edition.) I almost wish I'd known of this sooner as I might not have gotten the original 120. All the shades are metallic/pearl so there are no tailor's-chalk textures. They are also consistently silky and pigmented (yay!) and unlike the earlier editions, I was thrilled to see a number of duo-chromes. There were some very impressive MAC dupes (Vex, Electra, Shimmermoss, etc) as well. 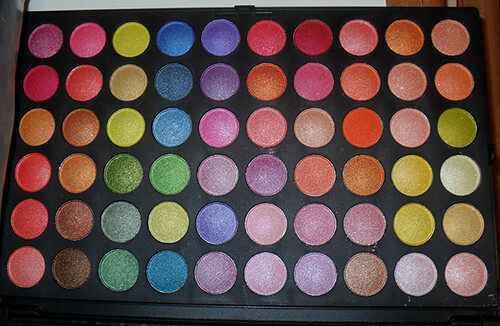 One side is an out-of-this-world bright palette filled with saturated yellows, oranges, reds, blues, violets. The other is tamer, but no less pretty, with lovely neutrals (silvers, greys, olives, browns) and warm terracotta tones. Unless you're sure you will use a whole rainbow of colors, I'd say just go for this version or the 3rd edition (one side all neutrals), as you will get much more wear out of these. If you love cool tones like lots of blues and greens, and use a lot of those, then one of the earlier editions would be better for you. Swatches in a later post!